Cox, C. (2015). 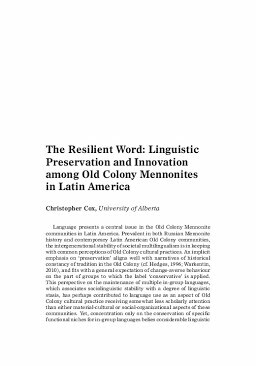 The Resilient Word: Linguistic Preservation and Innovation among Old Colony Mennonites in Latin America. Journal of Mennonite Studies, 1(2013), 51–74.